The rule of law is the sole custodian of our liberty and it’s woolly headed of this new comer to democracy to believe that rule of law and our liberty be subject to his own interpretation of our security. He must be dismissed without much ado and reaffirm our commitment to the rule of law. 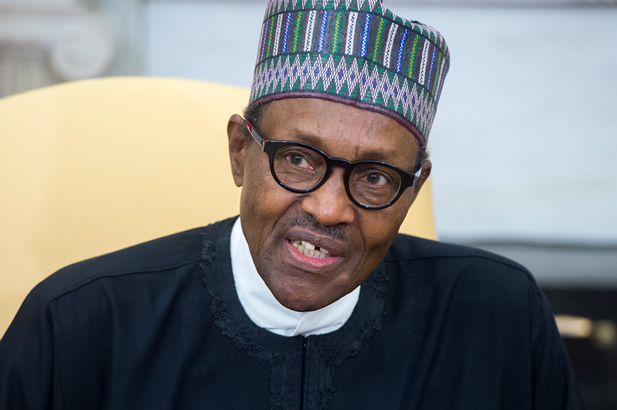 President Muhammadu Buhari on Sunday said the principle of rule of law must be subject to the supremacy of the nation’s security and national interest. He said where national security and public interest were being threatened, the individual rights of those allegedly responsible must take the second place. Buhari said these in an address he delivered at the opening of the 2018 Nigerian Bar Association Annual General Conference in Abuja. He said, “The rule of law must be subject to the supremacy of the nation’s security and national interest. Buhari noted that the theme of the conference, “Transition, Transformation and Sustainable Institutions” was apt in the light of contemporary domestic and global challenges. He said he also considered the theme significant in view of the fact that it demonstrated the willingness of the NBA to address issues not only related to the immediate practice of law but more importantly, to solutions of wider society’s problems. He recalled that since the inauguration of his administration, he had had the privilege of observing first-hand how societies experience transition, attempt transformation and build or strengthen institutions to manage the processes. He said given the enormity of the challenges he inherited and the yearnings of a citizenry earnestly desirous of a new way of running national affairs, his first challenge was to transform the country speedily into a society where impunity in the management of national resources would be replaced with a culture of accountability and transparency. He said his government needed to deploy the nation’s resources to address common needs rather than the greed of a callous few. The President added, “In order to achieve this, we have had to disrupt age-old assumptions and unsettle ancient norms in the management of our national patrimony, as you have all witnessed in the last three years. “While we have made appreciable progress in several sectors, including public awareness of the need to challenge the corrupt and the brazen in our midst, we have also learnt useful lessons on the dynamism of our society. Ahead of the 2019 general elections, Buhari enjoined lawyers to remember that by reason of their profession, they all had a responsibility to work for national cohesion and unity through their speeches and public positions and most importantly in their advocacy in court. In the context of opinions and narratives about past and present political and socio-economic experience, Buhari said the lawyers could not afford to jettison rational and proper analysis of issues in a manner which would build, rather than destroy the nation. He urged them to work to uphold and improve the sanctity and integrity of the nation’s judicial and electoral institutions, which he said played a fundamental role in the sustenance and growth of democracy. Buhari added, “Let me remind you all, my dear compatriots, that the law can only be optimally practised in a Nigeria that is safe, secure and prosperous. “As you go into this annual conference, let me assure you of the resolve of this administration to promote measures that will achieve a vibrant economy under which the practice of law will thrive.